I am super excited to be teaching advanced choreography this year. My class will be constantly changing week to week, teaching and dancing in multiple styles, contemporary, jazz, and all things in-between. We will be exploring all-kinds of movement, and committing ourselves to go outside our comfort zones and really push ourselves to try new things. The goal is to just focus in, and put all our energy in what we are doing, releasing all other stress and worries. This is an advanced class, channeling multiple styles so students should have about 7 years dance experience with a foundation in ballet and jazz. Best suited to students who have some competitive dance experience or have significant training. I enjoy sharing my passion for dance with all my students, and watching them improve and become curious about their own artistic expression. Working with QDC gave me the opportunity to meet so many amazing individuals and these are friendships I will cherish forever. I love bringing other people joy through the medium of dance, just as dance has been a way for me to express myself and deal with trauma. 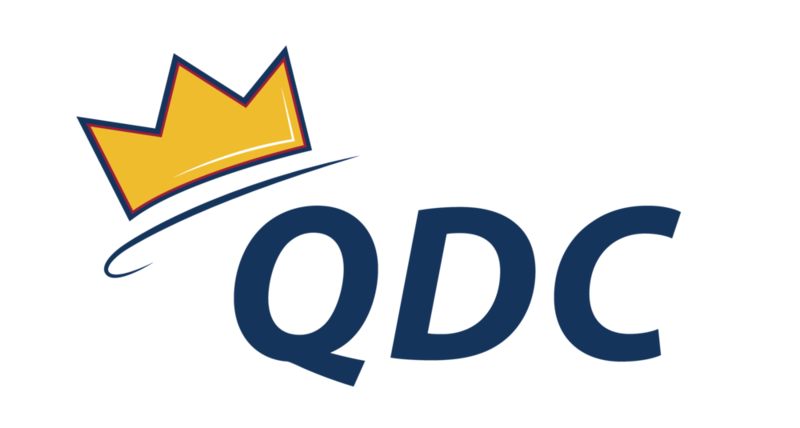 QDC has allowed me to keep doing what I love in an environment that is so positive and easy going. Dance has been an instrumental part of my life and has shaped me as a person. Dance inspires me to keep challenging myself and has taught me dedication. Growing up dancing, I was constantly brought out of my comfort zone and this has taught me to stay creative and continuously experiment. Dancing, for me, has been a form of therapy and can always brighten my spirits when needed. Favourite Dance Move: I seem to always go back to a lunge, sounds weird, but I like a good lunge. I have been training as a dancer since I was 10 years old. I first learned the basics such as ballet, jazz, and tap and eventually branched out to do point, acro, contemporary, musical theater, and modern. I trained and was a part of the competitive team with the Mississauga School of Dance for 8 years. I also attended an arts high school for 4 years in Mississauga, called Cawthra Park Secondary School. At my high school, I was a dance major, and trained in ballet, modern, kinesiology, and Canadian dance history. For the 2017-2018, I worked as a teacher at the competitive studio Revival School of Dance and have taught children who ranged from the ages of 5 to 17. I have been the intermediate contemporary teacher for QDC this past 2017/2018 year and choreographed for the Vogue Charity Fashion Show at Queens this past year. Check out some of Kate's choreography to see if Advanced Choreography is right for you!